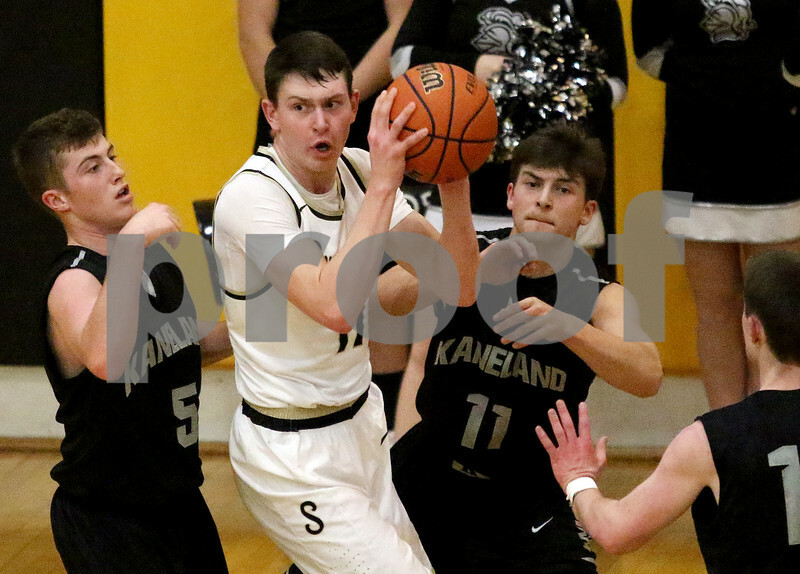 Sycamore's Jack Mizgalski, center, looks for a pass while surrounded by Kaneland's Jake Hed, left, Kyle Stuart, center, and Mason Conroy, right, during their boys basketball regional final on Friday, Mar. 3, 2017 at Sycamore High School in Sycamore. Sycamore won the game 37-36 in overtime.